Joan Whitney was born in New York City, the daughter of Payne Whitney and Helen Julia Hay. Her brother was John Hay Whitney. She inherited a trust fund from her grandfather, William C. Whitney and on her father's death in 1927, she received a large part of the family fortune. She attended Miss Chapin's School, then studied at Barnard College for a year, as well as taking some courses at Brown. Joan was a sports enthusiast who was a minority shareholder in the old New York Giants Major League Baseball club. She and her husband opposed moving the team to San Francisco in 1957. After the majority of the shareholders approved the move, Mrs. Payson sold her stock and began working to get a replacement team for New York City. Along with M. Donald Grant, the only other director who opposed the Giants' move, Payson put together a group that won a New York franchise in the Continental League, a proposed third major league. The National League responded by awarding an expansion team to Payson's group, which became the New York Mets. Payson served as the team's president from 1962–1975. Active in the affairs of the baseball club, she was much admired by the team's personnel and players. She was inducted posthumously into the New York Mets Hall of Fame in 1981. She was also the first woman to buy majority control of a team in a major North American sports league, rather than inheriting it. Daniel Carroll Payson (1925–1945), was killed during the Battle of the Bulge. Sandra Helen Payson (1926–2004), who was married to William Meyer. They divorced and she later married Baron George Weidenfeld (1919–2016). Payne Whitney Payson (b. 1927), who married Henry Bentivoglio Middleton, a direct descendant of Arthur Middleton, signer of the Declaration of Independence. John Whitney Payson (b. 1940), who is married to Joanne D'Elia. Besides the Greentree estate in Manhasset, the family lived in an Italian Renaissance-palazzo style mansion in Manhattan. It was a wedding present from Payne’s uncle, Oliver Payne, and designed by Stanford White. Located at 972 Fifth Avenue, it housed not just the family but 13 servants. Her husband was a Board member of Pepperdine University and together they provided the funds to build the university's library that was named for them. In 1943, she established and endowed the Helen Hay Whitney Foundation (named in honor of her mother) for medical research. ^ Durso, Joseph (October 5, 1975). "Joan Whitney Payson, 72, Mets Owner, Dies; Head of Greentree Stables Inherited Millions in 20's". The New York Times. p. 63. Retrieved September 5, 2011. ^ Weiner, Evan (June 13, 2008). "Women Owners Slowly Gaining Traction". The New York Sun. Retrieved July 15, 2008. Joan Payson was a minority owner of the New York Giants baseball team; in 1957, she voted against moving the franchise to San Francisco. In 1961, after the Giants eventually moved, she became the co-founder and majority owner of the expansion Mets, becoming the first woman to buy a major league sports franchise. ^ Post, Paul; Lucas, Ed (March 2003). "Turn back the clock: Willie Mays played a vital role on '73 mets; despite his age, future Hall of Famer helped young New York club capture the 1973 National League pennant". Baseball Digest. Archived from the original on May 6, 2007. Retrieved July 15, 2008. Mets owner Joan Payson had always wanted to bring the `Say Hey Kid' back to his baseball roots, and she finally pulled it off in a deal that shocked the baseball world. ^ Reif, Rita (April 27, 1984). "The Paysons' home on view". The New York Times. Retrieved November 12, 2007. 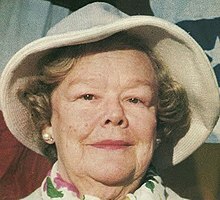 JOAN WHITNEY PAYSON, the ebullient, highly visible owner of the New York Mets until her death in 1975, was the extremely private mistress of a 50-room, fieldstone mansion in Manhasset, L.I., that she and her industrialist husband, Charles Shipman Payson, filled with art, antiques, collectibles and souvenirs. ^ "PAYSON, Daniel C". www.fieldsofhonor-database.com. Retrieved 1 December 2016. ^ Durso, Joseph (5 October 1975). "Joan Whitney Payson, 72, Mets Owner, Dies". The New York Times. Retrieved 1 December 2016. ^ Saxon, Wolfgang (25 July 2004). "Sandra Payson, 78, Influential Arts Patron". The New York Times. Retrieved 1 December 2016. ^ "Daughter Born to Mrs. C. S. Payson". The New York Times. 29 June 1926. Retrieved 1 December 2016. ^ "British Publisher And Mrs. Meyer Will Be Married; George Weidenfeld to Wed Niece of John Hay Whitney". The New York Times. July 14, 1966. Retrieved 1 December 2016. ^ "A Daughter to Mrs. C. S. Payson". The New York Times. 6 August 1927. Retrieved 1 December 2016. ^ "Paid Notice: Deaths MIDDLETON, HENRY BENTIVOGLIO". The New York Times. 18 August 2002. Retrieved 1 December 2016. ^ "ORCA - Ocean Research and Conservation Association - Team & Staff". www.teamorca.org. Retrieved 1 December 2016. ^ Span, Paula; Tully, Judd (12 November 1987). "$53.9 MILLION FOR VAN GOGH". The Washington Post. Retrieved 1 December 2016. ^ Thomas, Joan M. "Joan Payson". Society for American Baseball Research. Retrieved 15 March 2019.